The numeric and political facts contained in the 2007 Report of Hands Off Cain document the constant reduction of the number of countries using the death penalty and the increasingly favourable position of countries opposing the death penalty on the world stage. In 1994, on the initiative of Hands Off Cain and the Transnational Radical Party, the Italian Government presents, for the first time in the history of the U.N., a resolution for a universal moratorium on capital executions at the General Assembly. The resolution is not approved for only 8 votes! 20 of the current E.U. member states abstain from the vote. In 1997, the Italian Government, in the face of fierce opposition of some European partners, presents the resolution for the moratorium to the U.N. Commission for Human Rights in Geneva that approves it with 27 votes in favour, 11 opposing votes, 14 abstentions and 1 absence. Since then, every year and lastly in 2005, the resolution has been approved by the Commission in Geneva and it is also thanks to this that the situation regarding the death penalty has radically changed: from 97 U.N. member countries retaining the death penalty to 49 today. In 2003, the Italian Presidency of the E.U. receives the mandate from the Italian Parliament and the support of the European Parliament to present the resolution for the moratorium to the General Assembly but, despite this, declares that the E.U. is not in favour of the initiative and does nothing. 2006-2007: the Deliberations of Italian Parliament, European Parliament and the Conduct of the German Presidency of the E.U. The Declaration of Association against the Death Penalty and the Conduct of the German Presidency of the E.U. In the following months, the Declaration of Association would be undersigned by 10 countries (for a total of 95) thanks to Aldo Ajello, already sent by the E.U. for the Great Lakes Crisis, to whom the Italian Government, at the suggestion of the Transnational Radical Party, entrusted a mission in Africa with the goal of gathering support for the moratorium in South Africa, Mozambique, Rwanda, Gabon, Mali and Liberia. This goal was successfully achieved. Unlike a resolution voted on at the General Assembly, the Declaration of intent has no formal value or scope and only concedes time to European countries contrary to pro-moratorium initiative to impede the Italian Government from moving in a timely fashion as called for by the Italian and European Parliaments. The German Presidency of the E.U., by deed, if not intention, acts the role of obstructionist and continues to postpone a decision on the presentation of the resolution to the U.N., proposing, for example, a survey/questionnaire to be given to the sponsors of the Declaration asking, among other questions, “if the presentation of a resolution is possible,” and if the Resolution should propose “the abolition of the death penalty” or “the imposition of a moratorium,” and “if such a proposal should be presented in 2007 or successively,” questions which constitute a scandalous attempt, willingly or not, to hamper every chance of presenting the resolution during the current General Assembly, in evident contradiction with the resolution of the European Parliament indicating a precise strategy on how to proceed on the issue. On December 26, 2006, following the confirmation of the death sentence against former Iraqi dictator Saddam Hussein, Marco Pannella began a hunger and thirst strike in support of the initiative “Hands Off Saddam” directed at stopping the execution. An appeal to that end had already been launched by Hands Off Cain in June of 2006 and gathered the support of more than 200 members of Italian Parliament, 3 Nobel Prize winners and numerous international celebrities. On December 30th, after the execution of Saddam Hussein, Marco Pannella continued his hunger and thirst strike to focus attention on the more general goal of a resolution on a universal moratorium on capital punishment. With his non-violent initiative, Pannella calls upon the Italian Government, to formalize its commitment in presenting a resolution for a universal moratorium on executions to the current U.N. General Assembly. On June 3rd, after 8 days without water, Pannella interrupts his thirst strike, but continues his hunger strike until January 15th. On March 21st, Marco Pannella begins another hunger strike that lasts until April 14th to keep pressure on the commitments made by the various Parliaments and Governments, above all those of Italy, in putting forth the presentation of a resolution on a universal moratorium on the death penalty at the current U.N. General Assembly. On April 8th 2007, several thousand people took part in an Easter March from Campidoglio to Saint Peter’s in Rome for a U.N. moratorium on capital punishment, promoted by Hands Off Cain, the Transnational Radical Party (TRP), the Community of Saint’Egidio, the Italian Radicals and with the support of 16 ministers of the Prodi Government. On April 16th 2007, after a two-day suspension of his hunger-strike, the non-violent initiative of Marco Pannella, underway since March 21st, becomes an “all-out” hunger-strike “because it is unacceptable, after thirteen years, to postpone until next year the goal of a universal moratorium on the death penalty.” In this new, intensified phase of the struggle, Pannella is joined by six other members of the Radical Party: Sergio D’Elia, Valter Vecellio, Guido Biancardi, Claudia Sterzi, Lucio Bertè and Michele Rana. The strike goes forward with only two brief interruptions until June 18th 2007, the day on which the European Union makes the decision to present the pro-moratorium resolution at the General Assembly of the U.N. starting next September. After five days and five nights, the “occupants” decide to end their action, despite the fact that RAI has offered an all but useless plan of communication to inform the public about the struggles of the pro-moratorium resolution. Within days, the appeal includes 55 Nobel Laureates, including the Dalai Lama, Michail Gorbachev, Desmond Tutu and Lech Walesa; former heads of State like Inder Kumar Gujral, Moustapha Niasse, Michel Rocard, Majco Pandeli and Mark Eyskens; more than 500 parliamentarians from around the world including all the party leaders from the Italian Parliament (except Roberto Castelli of Lega Nord), all the Italian Life-time Senators and all the party leaders of the European Parliament, including representatives from the extreme rightwing. Among the international celebrities are Israeli writer David Grossman, Spanish writer Fernando Savater, and Director Bernardo Bertolucci. “After years of postponements and searching to build a unanimous European consensus, requests are no longer necessary, the time for action at the U.N. in New York has arrived,” states the appeal to Prodi with 1,848 signatures of important figures from 101 countries or territories. On June 18th, the General Affairs and External Relations Council of the E.U., meeting in Luxembourg, unanimously assumes a formal commitment to present a resolution for a moratorium at the opening of the 62nd U.N. General Assembly in September. “The Council decided that the EU will introduce, in the framework of a cross-regional alliance, a resolution against the death penalty at the 62nd United Nations General Assembly,” states the Council’s official press release. The decision of the E.U. is the result of a compromise, facilitated by the French Foreign Minister Bernard Kouchner, between the Italian Government wanting to respect the parameters set by the Italian and European Parliaments and the remaining 26 member-states of the E.U. that prefer to postpone the presentation until the following months. Immediately after the decision taken by the Minister of Foreign of the E.U. to present a moratorium on the death penalty to the U.N. General Assembly in September, Marco Pannella and all the leaders of the TRP communicated to the German Presidency of the E.U. and all its Foreign Ministers, the necessity of a strategy, coherent with that presented by Italian Parliament months before, as well as by the European Parliament to avoid errors and delays precipitated by the E.U. in 1999 and 2003. In particular, Hands Off Cain and the Radical Party express two main concerns: one relative to the text of the resolution itself and the other to the list of primary presenters of the resolution. As far as the goal of the resolution, as its first objective, the abolition of the death penalty (with a moratorium towards that end), it is considered a possible point of alienation for those countries that would be willing to vote more directly for a moratorium at the U.N., with an eye towards abolition, but not with abolition as the resolution’s primary goal. In terms of the presenters, the TRP suggests that a resolution primarily of the E.U. with token representatives of other continents has negative undertones that give a connotation of “euro-centricity” and even a vague flavour of colonialism to a document that should have the maximum air of worldwide agreement. The European Union, on the other hand, seems to have chosen a strategy that could risk the possibility of success of the resolution, besides being contradictory to deliberations by the European Parliament and the E.U. that expressly concluded in indicating the “moratorium” as a primary goal and an inter-regional alliance as the means to achieve it. The text of the operative paragraph of the resolution, to which the E.U. gave its consensus, states, “to work towards the abolition of the death penalty and immediately establish a moratorium on executions.” This puts the focus of the resolution on abolishing the death penalty instead of on the moratorium, completely changing the political sense of the initiative, which sees the instrument of the moratorium as the most efficient means for moving against the death penalty on a global scale. Further, the choice to have as the presenters of the resolution all 27 member-countries of the E.U. side by side with a spattering of 2 or 3 representatives of other regions has already received criticism from other partners in the initiative outside the E.U. Not having pointed out the participation of two countries like South Africa and Russia as primary sponsors, for instance, who tend towards a pro-moratorium and not an abolitionist resolution, underscores the presence of “fundamentalist” abolitionists in the E.U., who are primarily responsible for the failures of 1994 and 1999, besides the postponements until forever of the resolution presentation at the U.N. General Assembly in New York. According to forecasts on the vote by Hands Off Cain, verified and confirmed by the Italian Ministry for foreign affairs and by its partners in Europe, a resolution for “a moratorium on executions, with a view to completely abolishing the death penalty,” would take a majority in the General Assembly: with approximately 106-108 votes in favour, an absolute majority of the 192 member-states of the U.N., a majority that can’t be touched by those countries opposed (between 61-68), and considering the considerable number of abstentions (between 16 and 18) and a handful of undecided countries (7). This certainty is founded, not on opinion, but on three indisputable sources of information: the preceding votes on a Resolution pro-moratorium from 1997 through 2005 at the U.N. Commission on Human Rights; the signatures on the Declaration of Association Against the Death Penalty of December 19th 2006; the legal and political evolution of various countries as related to the death penalty over the last thirteen years which is confirmed in the 2007 Report by Hands Off Cain. From 1997 to 2005, for nine consecutive years, the pro-moratorium resolution has been approved by the Commission of Geneva by an overwhelming majority. During these years, 92 countries have co-sponsored the resolution with another 4 countries voting in favour despite not co-sponsoring the proposal. In the course of nine years of pro-moratorium votes, the Commission on Human Rights, now called the Council on Human Rights, has registered a total growth in participation arriving at 101 countries out 192 U.N. member-states. The voting results though always favourable are dependent upon the annual make-up of member-states in participation. Of these 101 countries, considering the last vote, 51 voted in favour of the moratorium, 28 voted against the moratorium, 19 abstained and 3 were absent. Furthermore, in the last two years, 7 countries that didn’t vote in favour of the resolution in Geneva have joined the pro-moratorium ranks, such as Rwanda which abolished the death penalty and signed the Declaration of Association announcing its support for the resolution at the General Assembly in New York. 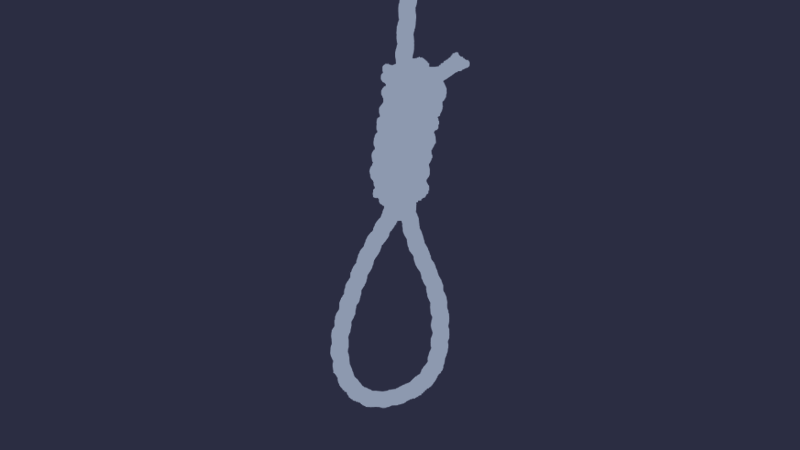 Furthermore, 95 countries have signed the Declaration of Association against the death penalty of December 19th 2006, among which are 9 countries that, in Geneva, didn’t sponsor or vote in favour of the resolution, while South Africa, Azerbaijan and Liberia have expressed their support of the resolution. The legal evolution of the death penalty must be taken into account. Today, 91 member-states of the U.N. are totally abolitionist; 8 are abolitionist for ordinary crimes; 5 are observing a moratorium; 39 are de facto abolitionist (they have not executed anyone in more than ten years); while there are only 49 that maintain the death penalty. In 1994, when the resolution was outvoted at the General Assembly by 8 votes, there were 97 countries that still maintained the death penalty (48 more than today); in 1999, when the E.U. presented and withdrew the resolution, there were 76; in 2003, there were 66; today, 49. It is clear, that in the worst possible situation, the moratorium would pass with at least 100 votes today, an absolute majority in the United Nations, while the remaining countries would divide themselves in opposition and abstention. Thanks to a U.N. moratorium – awaiting worldwide abolition – thousands of people condemned to death could be saved: not just those that know of and worry about, those on death row in the U.S., but also those nameless and forgotten of the death penalty, the inmates on death row in China, Iran, Pakistan, Sudan, Iraq, Saudi Arabia, Vietnam and all the other authoritarian regimes that die, killed by silence and general indifference. Developments 2007 On December 18, 2007, The U.N. General Assembly adopted the resolution calling for a moratorium on the death penalty with a view to abolishing capital punishment. The vote in the 192-member world body was 104-54 with 29 abstentions. The vote capped a heated debate in the General Assembly's human rights committee that continued before and after the final vote. It saw the United States taking the unusual step of siding with countries such as Iran and Syria in opposition to the resolution. The Third Commission of the United Nations approved the resolution on November 15. The vote on the highly divisive issue was 99 in favor, 52 against and 33 abstentions. The United States and China joined many developing countries, notably from the Islamic world, in voting no after an acrimonious debate. Opponents decried what they saw as an attempt by the 87 co-sponsors to impose their values on the rest of the world and made it clear that there was no consensus on an issue which they said would further polarize the assembly. They argued that the death penalty was fundamentally a "criminal justice issue" to be decided by national authorities and saw the resolution as blatant interference in the internal affairs of sovereign states. Malaysia, Singapore, Singapore, Egypt, Barbados and the Bahamas were particularly vocal in denouncing an attempt to impose what they call Western values on the rest of the world. Singapore's UN envoy Vanu Menon said the co-sponsors were trying "to impose a particular set of beliefs on everyone else" and described them as "sanctimonious, hypocritical and intolerant" for having rejected a "genuine dialogue" with opponents. "This house is divided," said Iran's delegate Mahmoud Jooyabad. "There is no international consensus on the death penalty." Opponents were particularly angry that 14 amendments they proposed were all rejected, including one proposed by Egypt and supported by a number of Islamic countries and the United States, that sought to insert a paragraph also upholding the right to protect the unborn child. The resolution states that the death penalty "undermines human dignity" and calls on all states which still maintain the death penalty "to establish a moratorium on executions with a view to abolishing the death penalty." It also urges them "to restrict its use and reduce the number of offenses for which the death penalty may be imposed" and to respect international standards that provide safeguards guaranteeing the protection of those facing execution. 2008 On December 18, 2008, the United Nations General Assembly approved, for the second consecutive year, the resolution with 106 in favour, 46 against and 34 abstentions. With respect to last year, votes in favour increased by two, votes against dropped by eight, and abstentions increased from 29 to 34. On November 20, 2008, the Third Commission of the United Nations’ General Assembly passed the draft resolution with 105 countries voted in favour, 48 against and 31 abstentions. Compared to the resolution approved by the same commission in 2007, there was an increase of 6 favourable votes, a decrease of 4 votes against, and two less abstentions. The resolution was introduced by the Chilean representative, under the name of a coalition or representative countries from all continents. There were 89 co-sponsors of the resolution this year, two more than the previous year. Countries for the death penalty presented 7 amendments. This included two affirming the principle of the internal sovereignty of nations, that if approved would have weakened the political strength of the text. They were all denied by a widening majority with respect to last year. In substance, the text (which is much more concise than the one in 2007) concentrated on the moratoria. It also relaunched the previous year’s resolution, favourably saluting the decision of countries that put into practice the moratoria. Reminding the Assembly of the global trend towards the elimination of the death penalty, the text welcomes the relevant Report by the Secretary General. The text establishes that the Assembly will return to discuss it within two years. 2010 On November 11, 2010, the Third Committee of the UN General Assembly renewed, for the third time in four years, its call for a moratorium on the use of the death penalty by a recorded vote. The draft resolution was approved by a vote of 107 in favour to 38 against, with 36 abstentions. The resolution garnered more support from UN Member States than the previous resolution in 2007 and 2008, confirming the worldwide trend towards abolition of capital punishment. Bhutan, Guatemala, Kiribati, Maldives, Mongolia and Togo changed their vote to back the moratorium. In a further sign of support, Afghanistan, Comores, Nigeria, Solomon Islands and Thailand moved from opposition to abstention. While noting ongoing national debates and regional initiatives on the death penalty, the Third Committee calls upon States to restrict the use of the death penalty, to reduce the number of offences for which it may be imposed, and “to establish a moratorium on executions with a view to abolishing the death penalty”. States that have abolished the death penalty are meanwhile called upon not to reintroduce it. Enhancing a similar call included in the previous resolution in 2007, the Third Committee calls upon all Member States to make available relevant information with regard to their use of the death penalty, which can contribute to possible informed and transparent national debates. Three written amendments to the draft, as well as one oral amendment, were put forward by delegations who said the jurisdiction of Member States was completely disregarded by the draft. All the proposed amendments were rejected by recorded vote. The most important amendment proposed by Egypt, who said that, under the Charter of the United Nations, the Organization was unauthorized to intervene in matters which are essentially within the domestic jurisdiction of any State, was rejected by a vote of 62 in favour to 79 against, with 31 abstentions. The amendment proposed by Botswana was rejected by a vote of 51 in favour to 81 against, with 33 abstentions. Singapore’s amendment was rejected by a vote of 58 in favour to 79 against, with 30 abstentions. The representative of the Bahamas moved an oral amendment to operative paragraph 3 (d), in such a way that it would have the General Assembly call upon States “to consider establishing a moratorium on executions with a view to abolishing the death penalty” (in lieu of “to establish a moratorium on executions with a view to abolishing the death penalty”). The oral amendment offered by Bahamas was rejected by a vote of 54 in favour to 82 against, with 29 abstentions. On December 21, 2010, The United Nations General Assembly approved the new resolution with 108 votes in favour, 41 against and 36 abstentions (another 7 countries were absent at the time of the vote). It recorded a decisive step forward compared to 2007 when in a plenary assembly the votes in favour were 104, with 54 against and 29 abstentions (with 5 absent at the time of the vote). Another step forward was taken also in respect to the second vote on the pro moratorium Resolution in December 2008 when there were 105 in favour, 47 against and 34 abstentions (6 were absent at the time of the vote). The most significant political data regarding the favourable is that of 6 countries that in 2008 voted against (Kiribati, the Maldives and Mongolia) or abstained (Bhutan, Guatemala and Togo) or the abstentions of 4 countries (Comoros, Nigeria, the Solomon Islands and Thailand) that in 2008 voted against. The number of cosponsors of the Resolution also increased, 90 in total, three doing so for the first time: Cambodia, Russia and Madagascar. The only new part of the text of the Resolution concerns the request – in part contained in the 2007 text – directing the member states to ‘make information available relevant to the use of the death penalty to allow an informed and transparent national debate.' PRO MORATORIUM CAMPAIGN PERSPECTIVES AFTER THE SUCCESS AT THE U.N. After the historic vote at the U.N. in New York, re-affirmed decisively in December 2008 and 2010, some critics have sought to downplay its impact, calling it futile as it is not legally binding upon Nations. It is true that the United Nations, according to its own Statute, cannot require its Member States to abolish the death penalty and certainly not by a General Assembly Resolution. However, the “moral” and political force exerted on those Nations that still practice the death penalty is undeniable. It is enough to consider that, for the first time, the United Nations has established the question as pertaining to the sphere of individual rights and not domestic justice, and that this turnabout represents a momentous event in the progress of human rights. As far as the concrete effects of the Resolution are concerned, it should be noted that just the announcement – at the beginning of 2007 - of the initiative at the U.N. brought about many positive responses: during the same year, 9 countries which practiced the death penalty passed to varying degrees of abolition. Another 5 countries followed in 2008 and the first six months of 2009, as demonstrated by the Hands Off Cain's 2009 Report. Two U.S. States abolished the death penalty: New Jersey in December of 2007 and New Mexico in March of 2009. This happened over the last year and a half, when cases of abolition had not occurred in the U.S. in over forty years. Legislation for the abolition of the death penalty or the reduction of the number of capital crimes has been proposed in Lebanon, Algeria, Benin, Jordan and the Democratic Republic of Congo, a reality that would have been difficult to imagine in such Nations not long ago. Furthermore, Kazakhstan has put legal limits on the use of the death penalty only in the case of grievous acts of terrorism and in time of war, while Vietnam eliminated 8 of the 29 capital crimes in that country. In 2008, Cuba and Cameroon commuted all death sentences, while a significant number of amnesties and commutations were decided upon in Trinidad and Tobago, in Nigeria and in Zambia. In 2009, the President of Ghana, John Kufuor, commuted the sentences of the over 100 condemned to die in the country, while the Supreme Court of Uganda commuted death sentences to life imprisonment of all those on death row for more than three years. Finally, in China, death sentences handed down by the country's various courts diminished by 30% over the last two years, while the Supreme Court of the country overturned 15% of those death sentences passed by lower courts. This is no small fact, given that thousands are put to death in China every year. These positive developments are, of course, in no way an immediate prelude to the abolition of the death penalty worldwide or of radical changes in terms of democratic progress in many countries, but, without question, tendencies are following the lead of the United Nations Resolution. After the approval of the Resolution on a Universal Moratorium on Capital Punishment, there remain two important fronts for Hands Off Cain in realising the call of the United Nations. Simultaneously, the second front involves the spread of the Resolution worldwide, the monitoring, country by country, of the situation and the organising of political, institutional and public events in countries that still practice the death penalty so there is a greater awareness of the call by the U.N.. Hands Off Cain is working on realising the moratorium around the world. Starting with Africa, the continent with the highest number of de facto abolitionist States and where, in the last years, there have been significant steps towards the abolition of the death penalty.